US press ignores French startup successes, and here’s proof. From TechCrunch France to Infinity…and Beyond! I Left My Heart in San Francisco. But Then I Found it In Europe. It had been some 20 months since I’d been back to the Homeland, the Mothership, the land of the free and the home of the brave – or so they say. The birthplace of the oily Big Mac and sugary Coca-cola. But above all, the El Dorado of hi-tech. Yes, it had been almost 2 years since I’d been back to good old Silicon Valley. Finally putting a little tech into Silicon Valley. First off, I think I need to congratulate the Bay Area for finally coming around with a few technical improvements.When I first started TechBaguette, I suggested 3 things that Silicon Valley could learn from France. To my knowledge, none of them have been successfully implemented yet. This was later followed by a rant on how Silicon Valley – the Holy land of tech – was still printing paper tickets for public transportation. Yes, paper. But apparently, a lot has changed. 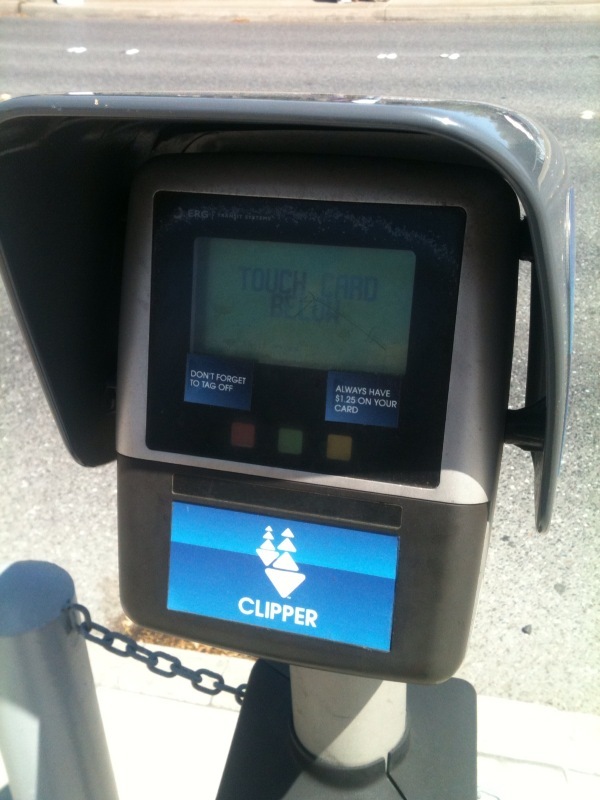 The Caltrain finally got its act together and started implementing an Oyster Card-like service – called Clipper #wtf – where users can pay electronically. YAY! But the fun doesn’t stop here. 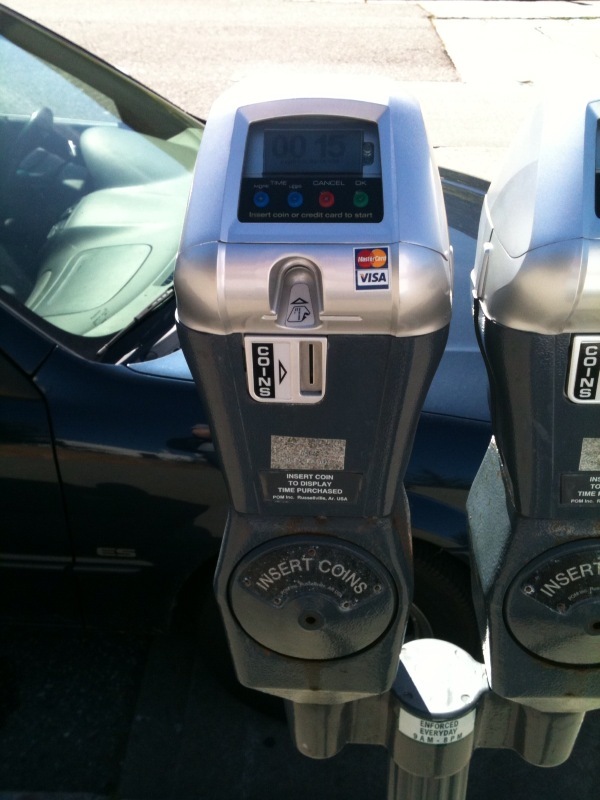 Another major cool improvement was the credit card-enabled parking meters. Not that I love to pay for parking or anything but I guess the city finally woke up to the fact that the days of carrying mounds of change in our pockets were officially behind us. Double yay. 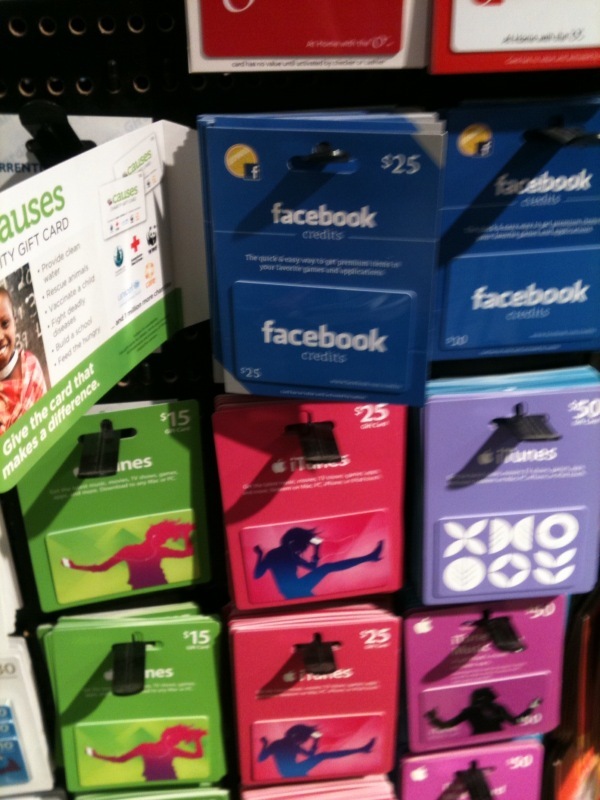 And of course, what better than selling Facebook Credits in giftcard format alongside pre-paid cards for Amazon, iTunes, Ebay, etc ? I haven’t seen this in either Paris or London yet, but I’m sure it’ll show up sooner or later – if it hasn’t already. Many people say that the difference between entrepreneurs in Silicon Valley and elsewhere is that entrepreneurs in the Valley want to change the world. Uh, maybe I took a wrong turn somewhere but I found some of the entrepreneurs I met to be less interested in making a difference than one would’ve thought. The local discourse is still very focused around making money – and more overtly than in Europe (obviously because Europeans are more discrete when it comes to the taboo subject of money in the bank). Oh, and I always tend to find the Silicon Valley crowd to be a bit more arrogant. Just me ? Sure, I did come across a handful of very innovative ideas. But this also means a rise in the bad ideas, too. Then again, if there is one thing those Valley kids know how to do, it’s pitch. Pitch, and sell. Then again, I think that when European tech all-stars do go to Silicon Valley the experience can be very humbling. The place is packed with top-notch people – entrepreneurs, investors, you name it. I spoke to a number of people who said the number one myth about Silicon Valley is that things will be easier for foreign entrepreneurs. When the place is swarming with competition, it’s hard to imagine hiring good people, scoring tons of cash and getting tons of traction without putting in mega effort. E=MC² and mega effort = mega stress. The one thing that I had forgotten was the stress. Everyone is stressed to the point that nobody bothers to even mention it. It’s a given. In fact, kids and students in Silicon Valley are also stressed out of their minds. For example, I’ve taken a number of trains throughout Europe and not once did I see a sign making a reference to suicide near the tracks (OK, the Paris metro does have an image of a guy getting electrocuted or something, but that’s just your everyday safety tip à la française). 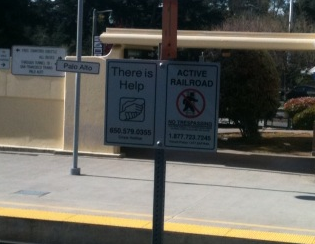 In Silicon Valley, the number of people who attempt to kill themselves by jumping in front of a train is apparently so high that they now put up these signs (which I had never seen before, but could’ve very well been there). And every year, I hear about more and more high school students attempting to end their lives this way- many unfortunately succeeding. Not all is cash and smiles. I guess I had kind of forgotten how the local tech community just devours new technologies. They’ll try anything – and I mean, really try it. Not just download the app and forget about it. For example, I went to a dinner where everyone got very into the latest rage, Color. Everyone at the table was taking pictures and posting. I thought it was just because we were at a geeky tech dinner. Then, in some random bar a few days later, we discovered that there were 14 people in that very same bar using Color as well. Using it to photograph their drinks and food, pictures on the wall, etc…and really getting into it. Madame Michu is not Joe the Plumber. In London and Paris, your average Joe would probably prefer to have his phones switched completely off when he goes out for a drink. Unless he has to coordinate plans. It’s not polite, classy or cool to pull out a phone, unless you’re in a casual environment with a bunch of techies quoting Star Wars. I’m exaggerating, but you get my point. But all this is just more reasons why entrepreneurs outside the Valley should get more credit. Where it’s more difficult to innovate for legal, political, cultural, financial or whatever reasons, the entrepreneurs are even more dynamite. And when those entrepreneurs succeed, it makes one hell of an impressive story. Not just another dude in a garage in Palo Alto. Comment dire “bootstrapping” en français ? The American Dream. And nightmare. Still, people in Silicon Valley are not all geniuses and not all the conferences are oodling with people. I was rather surprised (read disappointed) by the Web 2.0 Expo this year. In 2008, that conference had been one of the better conferences I’d attended. This year, it seemed half empty and with little to discover. And this made me realize just how quickly things happen in Silicon Valley. With the same speed that some company can come in, get funded, get bought or announce an IPO, others can flop entirely. I was talking with one entrepreneur friend of mine who brought up the fact that the only reason that the American Dream works is because the American nightmare is so bad and so powerful that entrepreneurs are somewhat flung into a do-or-die situation. I bet seeing the masses of homeless people wandering up and down Market Street in San Francisco serves as a reminder to some. Will The Real French Administration Please Stand Up ? It’s pretty paradoxical what is happening in France’s startup scene at the moment. On one side of the spectrum, the entrepreneurs, investors and the entire ecosystem seems to be gaining momentum. Several new seed funds were created in the beginning of the year – filling a very obvious gap in the local market and visibly fueling the development of quite a few startups. Then came the various mentorship programs, like the Founder Institute. Followed by the sprouting of regular startup events, like StartinParis, or even Startup Weekend – which is conquering the whole country. The infamous Paris-based co-working hub, LaCantine, is also spreading its wings and setting-up outside of Paris, in addition to a new acceleration program they’ve launched as well. And to top it all off, we’ve now got some of the big-name entrepreneurs talking about potential YCombinator-like programs for local startups. Call me crazy but I truly believe something incredible is going on. And then the government* showed up. Let me preface this by saying that I am probably the last person to ever critize France (in case this isn’t already obvious). I’ve even been called France’s cheerleader and community manager at times -probably because questions like this make my blood boil. I’ve always been a fan of the stuff people usually find rather ridiculous – the former 35-hour work week, the strikes, the vacation, etc. Yes, it’s true. So even if I love complaining, I’m not just going to start bashing the French state for the hell of it. I actually think France has a hell of a lot going for it, which surprisingly many people often overlook because they love to grab on to stereotypes and focus on the negative aspects. But Bercy is apparently out to lunch. If you’re wondering what the hell I’m talking about, read this. Honestly, it’s something I cannot wrap my head around. If I’m here complaining about it, it’s not at all because I want to bash the government but rather because I want to defend the French entrepreneurs. Plus, wouldn’t the long term effects of such a reform do more harm than good ? 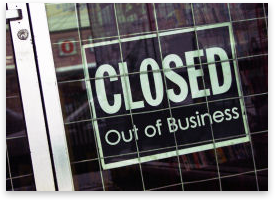 I am aware that the deficit is a damn good reason to want to make budget cuts, but someone needs to wake Bercy up and make it see all the good that the entrepreneurs do for the local economy. The tax breaks that France grants startups – namely the JEI – are probably less well-known abroad but thousands of French startups benefit from them. Startups have been able to put more ressources into hiring and innovation as a result. We’ve already got investors in France that are ever-so-slightly more risk averse than in the US. So in my mind, it should be one of the last things the State should ever want to touch. Puting Joseph Schumpeter on hold. In the end, it may sound a lot like France is telling it’s blossoming entrepreneurial community to shut-up and innovate. And well, that is kind of the case. But France would have to be really disconnected from reality to continue its current path. Once it remembers why it put the JEI in place, I’m sure it’ll come to its senses. 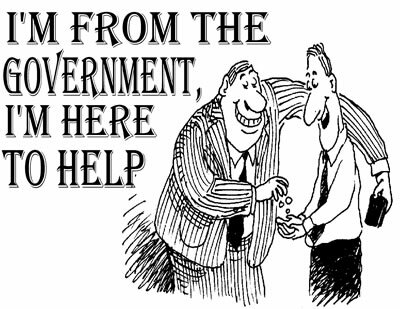 *And as you all know, I’m using “government” to mean “administration“. Your average American probably seems like a good rule follower. They stop at red lights, know how to wait in line and are smiles-all-around. On the other hand, not-so-much for your average French. A little striking and complaining screams probably screams “trouble maker” across the Atlantic. Plus, they’re not good at waiting in line. Just ask French start-ups like DelivrMe and JaimeAttendre. 1. Too much theory (also known as too much text). I’m pretty sure this comes from the education system, the administration and the fact that it’s not really a fly-by-the-seat-of-your-pants type of culture. My general impression is that often too much effort goes into over-preparation and that this delays execution. I realized this at a conference I was just at, when it seemed that an insane amount of hesitation was going into launching a simple corporate blog or Facebook Fan Page. Granted, the crowd wasn’t your average tech bunch but still. Sure, it’s important to prepare before launching – but in most cases, it’s not rocket science. A little less paperwork, a little more lights, camera, action. Launch first, tweek later. For anyone who doesn’t know this, the local general rule of thumb for everything is “why make it simple when it can be overcomplicated ?” And I love this. Except when it comes to launching a company. Numerous VCs have confirmed this for me, but foreign and French – French entrepreneurs have a talent for pitching overcomplicated ideas. I’m not saying that the Americans don’t do this because they do it too. But the KISS rule (“keep it simple, stupid”) could really go a long way here. Take a fraction of your business plan and do it really well. I’m fairly certain Larry and Sergei pitched a simple search engine – not the Google Empire. But ultimately, the theory, the complication and the copycat seem to be symptoms of something that is a huge problem for French entrepreneurs to face. Yes, I’m talking about the F-word: failure. Culturally, a failing start-up is much less accepted than in the Valley – but this isn’t news to anyone. But I think that within the start-up ecosystem, this is changing. French entrepreneurs are at least aware of this aspect and talk about it openly. As for talking about their actual failures openly – well, that seems a little too far off in the distance for now. I’d love for one of the future tech events (LeWeb?) to bust out a panel of entrepreneurs to talk about their failures in front of the French crowd. Fail damnit, #fail. Maybe once the French tech crowd gets more comfortable with the idea of failure they’ll get a little more adventurous and out of line. Attack of the MyMajor Clones – a French Malady? Seems everyone these days wants to be another Groupon, Foursquare – or even Chatroulette. And I can’t blame them. 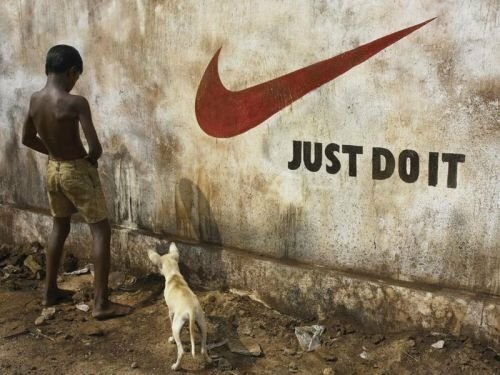 When a model works in one country or industry, why not just modify it a bit, apply it to a new market and hope for it to take off? Sounds like a game plan to me. 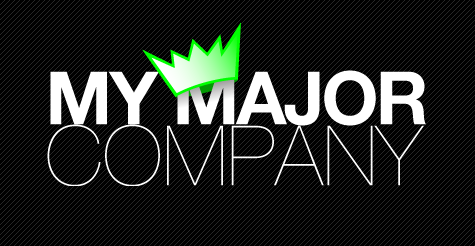 In France, one group of clones has sprung off of the success of MyMajorCompany (MMC). For anyone who doesn’t know, the company is essentially a participative music label. Translation: crowd-sourced funding for music production. Yes, that means any old nobody with a bank account and a minimum of €10 can essentially become a music producer once the total funding for an artist hits €100k. And to make a long story short, the model took off in France, is now distributed by Warner Music France and has produced some local best-sellers, like Grégoire (don’t ask my opinion on his music please). FYI: this is yesterday’s news in France, as the company has been around since 2007 and started making headlines shortly after. So OK, I’ve seen a lot of clones of all types of companies and to be honest, I’m not against it. Plus, for the crowd-sourcing/crowd-funding models, I actually think they often capture the beauty of the internet/web 2.0 – and I’m fairly certain this trend is unique to France as a direct result of MyMajor’s success. Another French company that has done a brilliant job in leveraging the crowd via internet is MyFab (obviously a slightly different model). But now I see this model being applied left and right to every last product or sector you can think of – from furniture to start-ups. A majority of the ideas are actually quite interesting but seriously, what’s next? I’ve recently seen several companies try to pitch the MyMajor model for crowd-funding start-ups (I told you French companies were creative with funding) and I’m particularly skeptical of this idea. For music, the model works because it’s more or less a B2C market; consumers know what they like so by funding, they are essentially pre-selecting and confirming a future purchase. Oh, and the ROI is not too shabby. But for a silly bypasser betting €10 on a random B2B start-up – I’m just not sure that would amount to anything other than, well, €10. Then again, with all the ISF funding floating around in France, I’m not sure it’s really all that different. Still, I actually think that this model could be refined for a specific type of product or start-up and work very nicely. It just needs to be well-implemented and not addressed to all start-ups as a whole. Crowd-fund something small. Like an app. 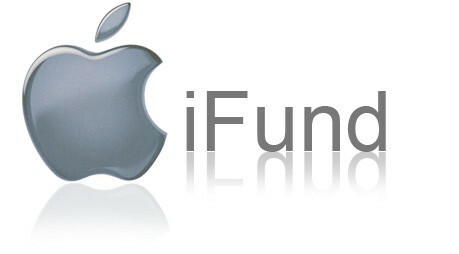 Perhaps this model could give KPCB’s iFund a run for it’s money? Oh, and that’s $200 million, to be exact.